Well I keep forgetting to take pictures of my cards so I guess the best way is to join in challenges. So this card will be entered into the Crafters Companion May challenge. 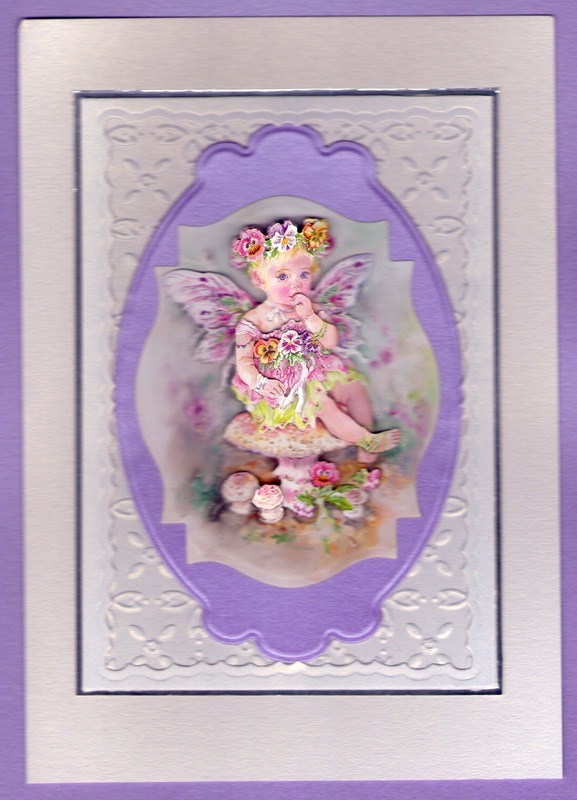 This is one of the lovely Fairy Poppet 3D diecuts, I cut the main picture using Spellbinders Labels Eighteen. Then matted and layered using various Spellbinders dies and M-Bossibilities.